The older I get, the more I realize I’m a creature of habit. When it comes to hairstyles? I get exhausted just thinking about more than 3 different ways to style my hair. When it comes to the types of jeans I like? Slightly cropped and darker rinse. Heck, when it comes to my go-to cocktail? You’ll rarely see me without an Old Fashioned at happy hour. 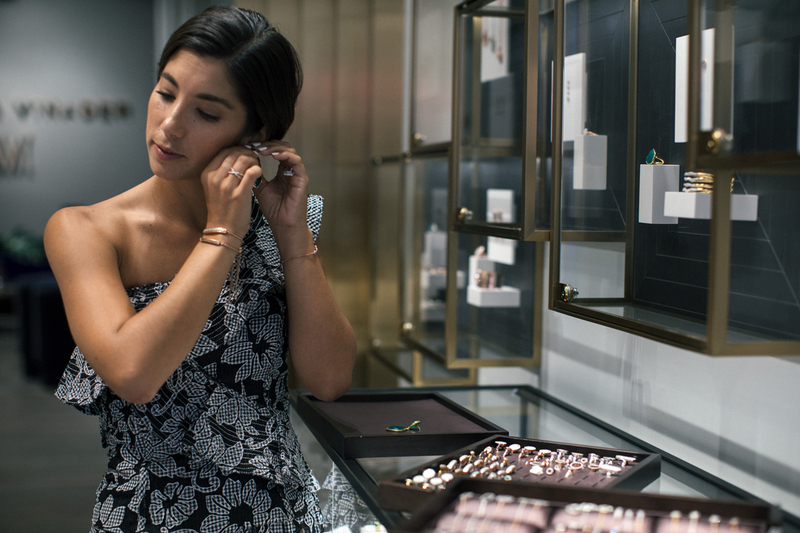 So when it comes to my approach to jewelry, there are no surprises. I love classic, timeless pieces that, simply put, rarely leave my body. 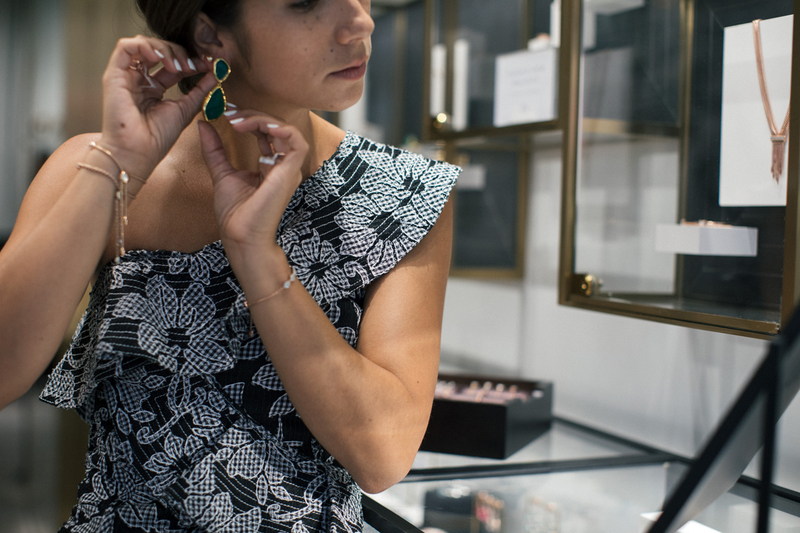 If you recall, last summer, I shared my “white shirt rule” that I always consider when purchasing jewelry — a litmus test if you will, to make sure a particular piece has staying power in my jewelry rotation, namely by making sure it completes even the most understated of outfits, like a great pair of jeans and a white button down oxford shirt. And if you also recall, since then, I’ve been pretty much living in Monica Vinader. 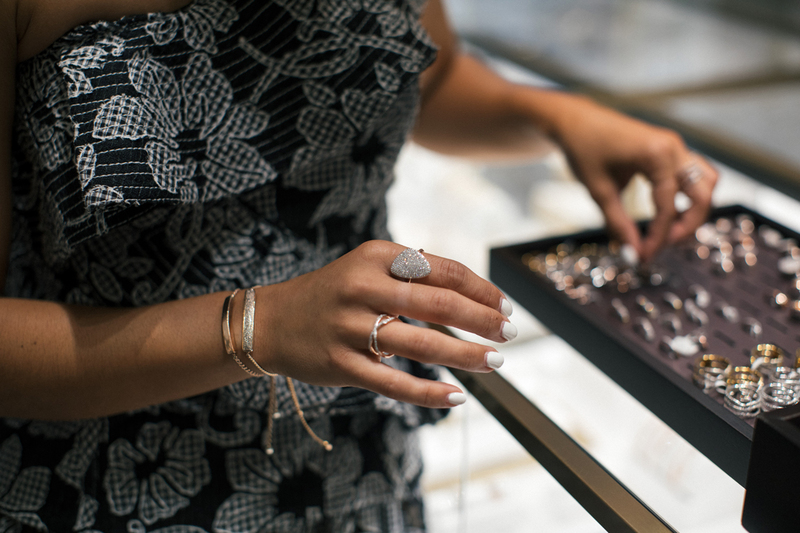 All of her pieces exude an effortless charm, simple and classic when worn alone, stacked and coordinated for a more impactful, evening look. And they pass my white shirt rule with flying colors. 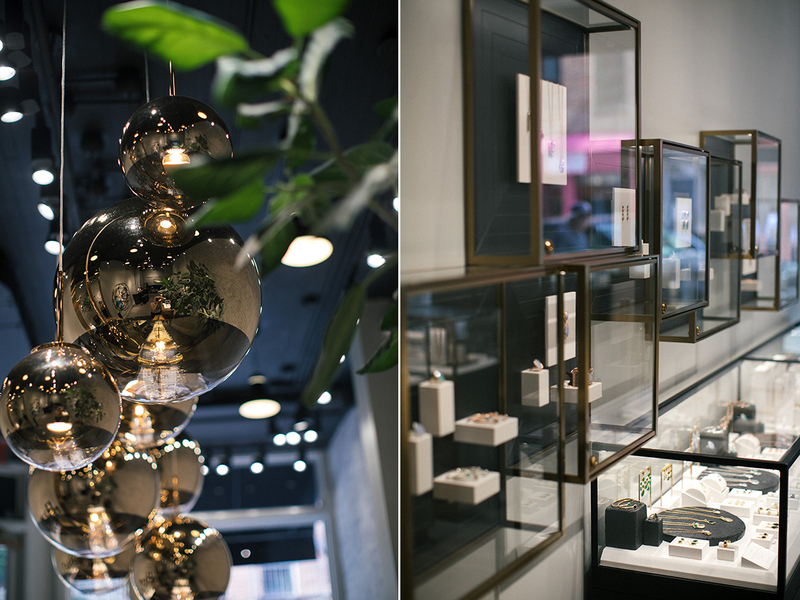 Of course, with the opening of their SoHo boutique just last year, I’ve been popping by pretty often, especially over the past few weeks as I’ve been looking to update a few pieces (in particular my ring game and a few new, layering necklaces). 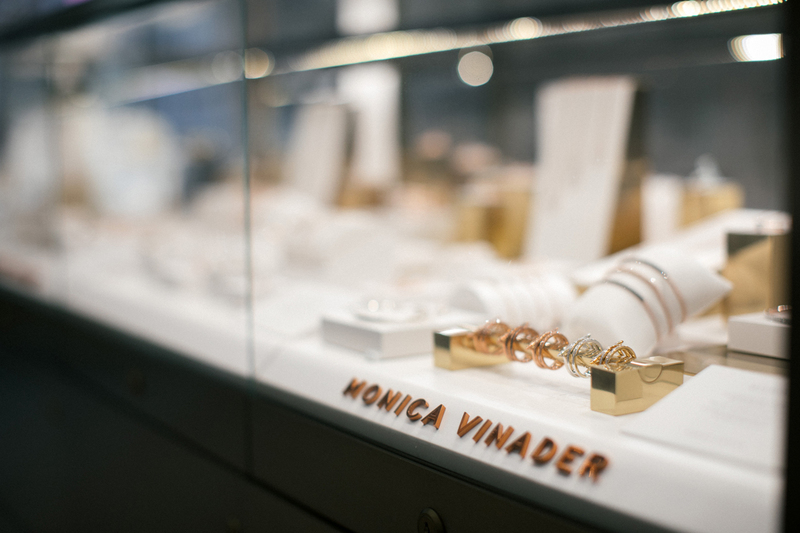 As you may already imagine, Monica has designed a store that truly is an extension of her jewelry — an homage to her inspirations, muses and travels. 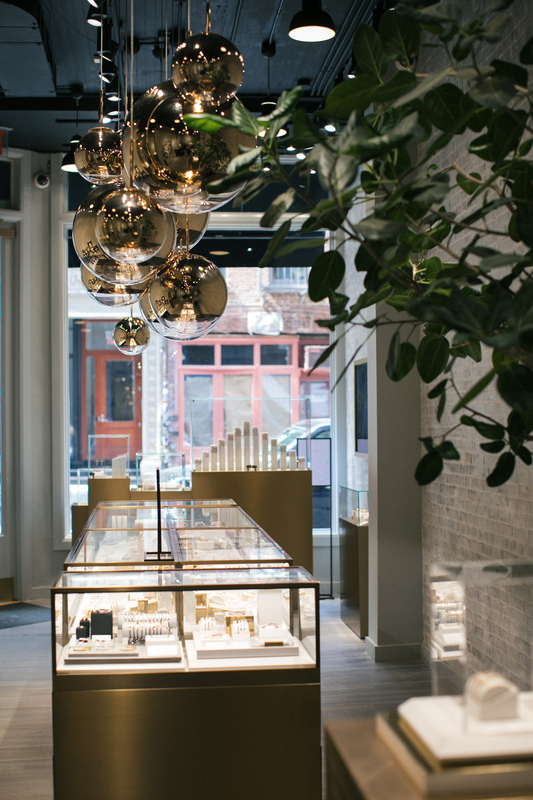 Those overhead gold sphere light fixtures? None other than Tom Dixon. Her blue velvet fainting-esque couch toward the back of the store? 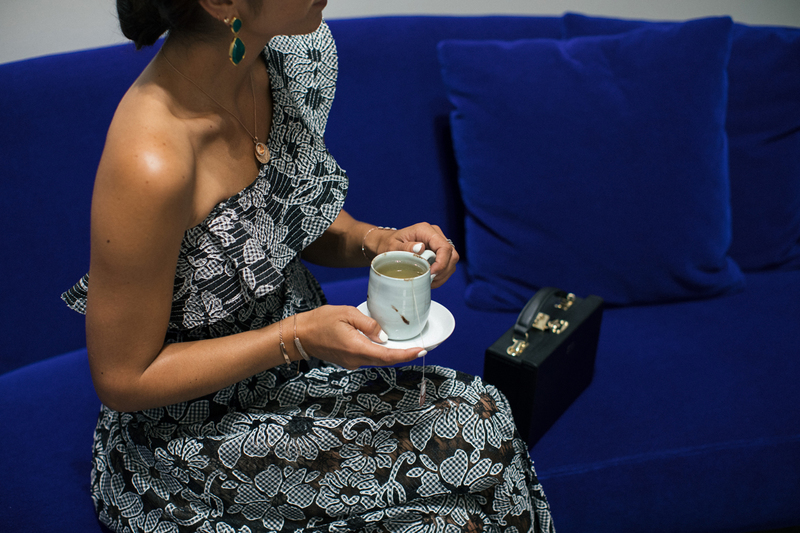 Perfect for sipping tea while you’re debating your next purchase. 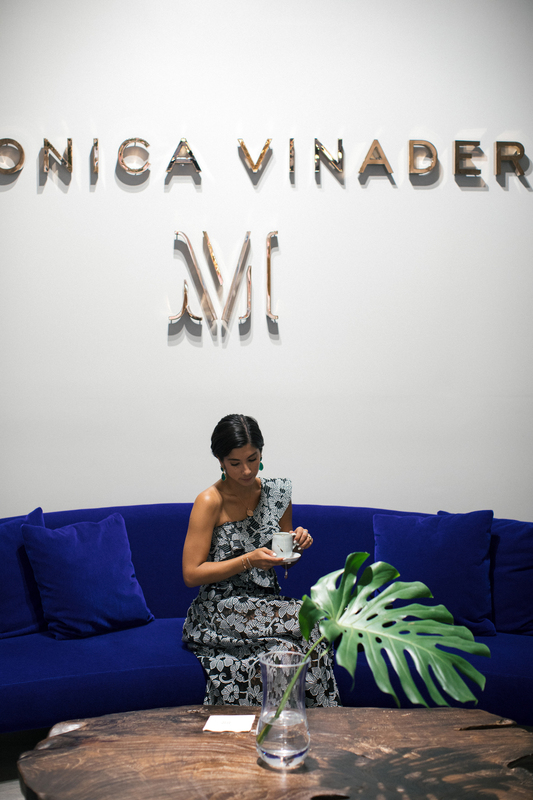 And as a self-proclaimed shelf aficionado, I love how Monica has her shelves styled in the store — a collection of travel books, rare knick-knacks and photos from recent trips. In short, she’s a woman after my own heart. 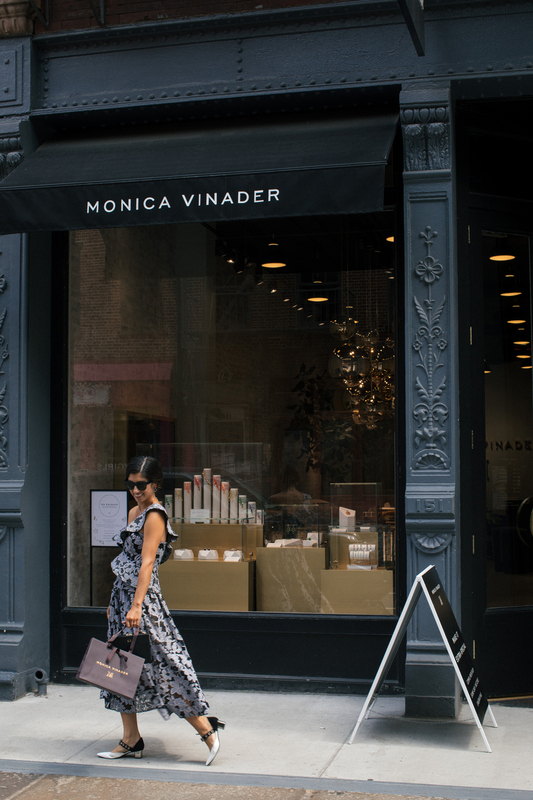 If you’re in the New York area this summer (or perhaps you’re a New Yorker looking for an inspirational in-store experience, because hey, let’s face it, you can’t shop for EVERYTHING online ALL the time), then throw on your best Holly Golightly dress and shades, and hop down to the Monica Vinader boutique at 151 Spring Street. Perhaps I’ll see you there? 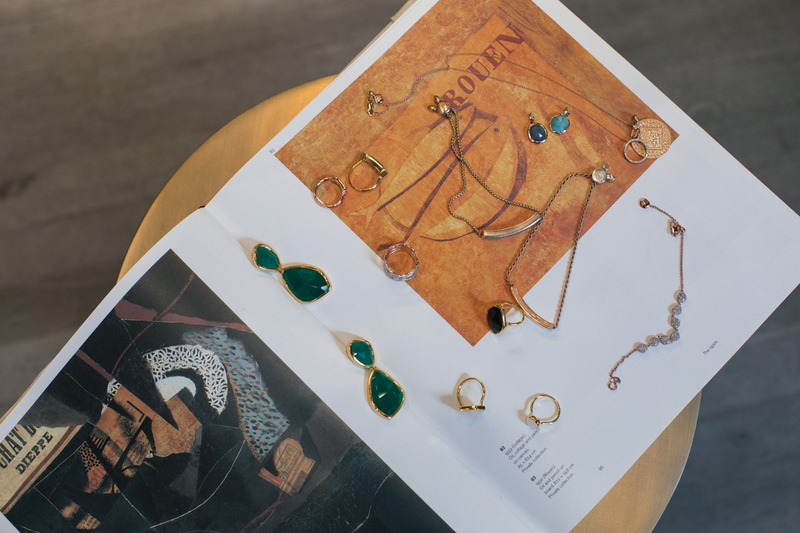 I’ll be the girl eating a croissant in the window debating this ring, these earrings and several of these necklaces. This post was in collaboration with Monica Vinader. As always, all opinions and styling are my own. Thank you for supporting all This Time Tomorrow collaborations! Your dress is absolutely perfect! 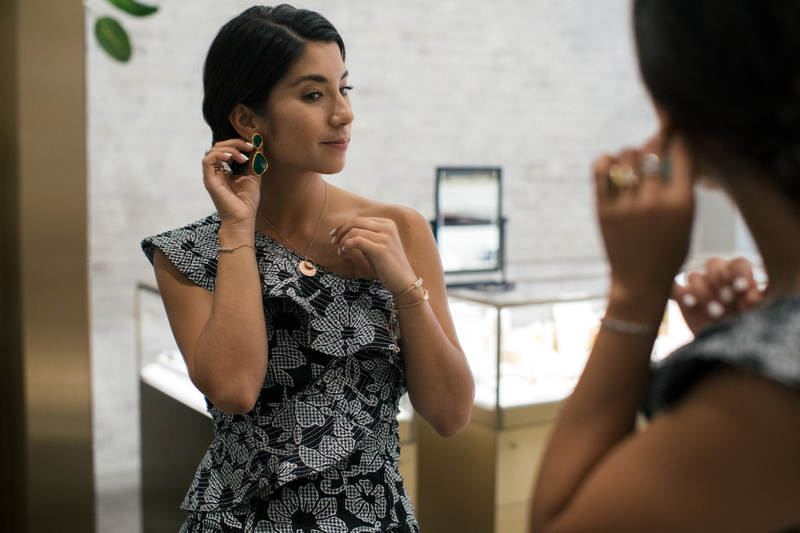 I love a good jewelry collection and I am already loving what you are wearing. They are classy and dainty! All the jewelry you are showcasing is breathtaking! Your shoes and jewellery are amazing and you’re looking Red carpet ready in this outfit!